Detailed Itinerary: Upon arrival at airport, be picked up by our private guide, who will wait at the exit of the airport by holding a sign with your name on. Drive to Badaling Great Wall (1.5 hours). 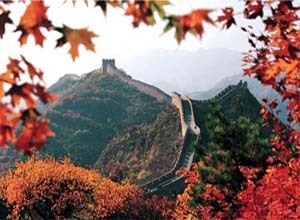 Badaling section is the most visited one among all the Great Wall sections. You will hike for 2 hours on the Badaling Great Wall, up snaking sections of walls, entering the watchtowers and seeing distant views. 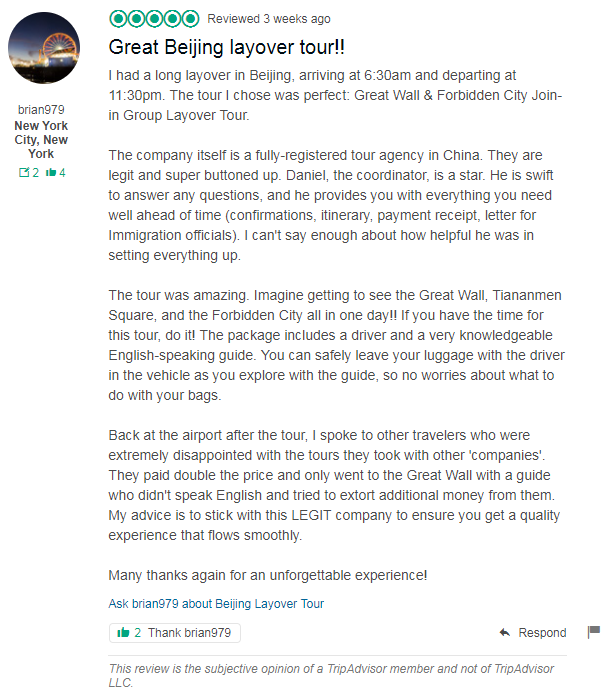 Then transfer to the Juyongguan Great Wall, which was a crucial military pass of the whole Great Wall. Hike the Juyongguan Great Wall for 2 hours. After the tour, be escorted back to airport.